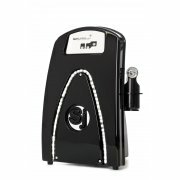 Spray tanning supplies from Sunjunkie. The UK’s largest spray tanning supplier and the professional’s choice for spray tanning solution and professional spray tanning kits. Shop the collection of Sunjunkie spray tanning supplies from spray tanning solutions to spray tanning machines, the Sunjunkie spray tanning collection has everything you need to get started in the world of spray tanning. Sunjunkie spray tanning supplies are exclusively produced by Sunjunkie and sold all over the world online at Sunjunkie.com or selected Sunjunkie boutiques worldwide. With free delivery over £100 when you shop online, for all your spray tanning supplies, choose Sunjunkie. Our spray tanning supplies include – Spray Tanning Solution, Spray Tanning Machines, Spray Tanning Equipment and Accessories. 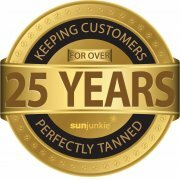 Sunjunkie are proud to be the UK’s number 1 spray tanning supplier and have a 26 year history within the spray tanning industry.